The wood fired oven has its roots in ancient history. 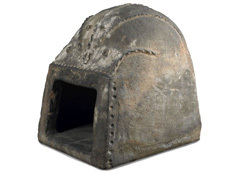 The first ovens were probably built in ancient Egypt. It was a conical-shaped structure built of stone and clay. 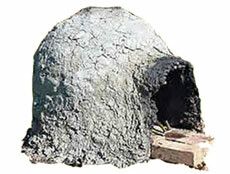 Other great civilizations developed the concept of the wood oven redesigning and modifying the look and functionality. 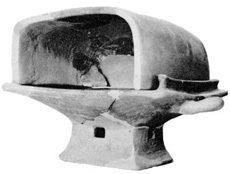 The Greeks, for example, intervened in the wood fired oven by introducing some important variations that still stand out in modern ovens, such as the round shape (dome) which allows uniform cooking of the food. Finally the Romans introduced additional elements to the Greek wood fired oven. In particular isolation rooms that minimize external heat exchange thus obtaining an almost constant cooking temperature. The “Forno Romano” remained unchanged over the centuries and was used and known as the Oven. Since the construction and implementation of a wood oven according to the Roman method requires considerable skill and work, technological developments have introduced modern criteria and construction methods to simplify industrial production of pre-fabricated wood fired ovens. My-Woodfiredoven however still believes in the traditional method of hand made wood fired ovens, and we are proud to introduce our beautiful quality wood fired ovens to New Zealand. Made from the best materials and at affordable prices, so that you too can experience the greatness of this simple and genuine way of cooking.